Are you trying to find natural solutions for leaky gut or other gastrointestinal complaints?? Have you tried to loose weight, soothe inflammation, boost energy levels, but cant find anything that “works”? Do you suffer from depression, pain, autoimmunity, diabetes, or brain fog? Are you confused by all the conflicting health information on the internet? Do you want to use natural therapies but are concerned about potential conflicts with your Christian beliefs? Do you want to have access to a community of like-minded Christians who are committed to their faith and their health as deeply as you are? If So… Please Join Us! Find Out What 160,000 People Are Raving About! Wanting to slim down and lose weight, burn fat faster and have more energy all day, everyday? Dr. Kellyann Petrucci will introduce you to a special microbiome balancing drink that your grandma would totally approve of! Are you or a loved one dealing with a diagnosis of cancer or other serious disease? Don’t despair. Ty Bollinger will teach you how to beat cancer with diet and specific, targeted supplements that won’t break the bank! Discover how your gut health affects your brain! Dr. Jill Carnahan reveals that the key to better brain function, performance and learning is through targeted, gut-health strategies. A must for high performers and parents! Hashimoto’s and other dysfunctions of the thyroid are a silent epidemic. Dr. Izabella Wentz will help you get to the root cause of your symptoms with her #1 thyroid protocol to improve energy levels, libido… even your hair! The Biggest Savings & Best Value! Enjoy Savings & Easy Quarterly Renewal. *Request a refund anytime in your first 30-days of a new membership, and we will refund your initial payment in full, no questions asked! Subscription renewals are not refundable. Cancel with 1-click or by contacting support anytime prior to your next renewal date. Thank you for all you do! I’m a Christian, an RN, and a Certified Health Coach with a passion to help others. After my mom received her cancer diagnosis ten years ago, my perspective to health changed and I began to learn and educate myself. Dr. Z, I love your Biblical Health (teachings) and your boldness for Christ, and your love for His Word. It shows in everything you do. Get access to the largest collection (and growing) of Biblical Health e-books and articles on the web! You’ll benefit from Dr. Z’s 15 years as a Biblical Health researcher through access to e-books and articles encompassing the evidence-based information he’s compiled. You simply wont’t find this level of comprehensive health information combined with an understanding of God’s plan for how to take care of your physical body, in one place, anywhere else! 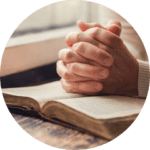 Enjoy Dr. Z’s Entire Database of Bible Verses Categorized in Useful Topics that will Bring Home the Promises of God in a New, Fresh Way! From Bible Verses for Healing to Peace to Prosperity, learn what God’s Word has to say about every aspect of the Abundant Life! Be Challenged, Inspired and Encouraged by Christians Leaders Who Care About You and Your Family! Follow keen insights from men of God across the globe as they walk you through some of the most important principles that you can find in the Bible like Overcoming Life’s Storms, How to Tame the Tongue, and more! Get Hundreds of Beautiful and Inspiring Images Inspired by God, Created by Dr. Z. We all need a little (or some days a LOT) of inspiration to help pull us through a rough day, a tough time, or when we just want a boost! Save your favorites to your computer or device for a quick pick up anytime, or simply scroll through them a few at a time. Garner Biblical Health Wisdom Even When You Are On The Go! You’ll enjoy dozens of Biblical Health podcasts (audios) featuring Dr. Z interviewing compelling, credible Christian health experts on topics that matter to you and your family. Want to learn about gut health according to the Scriptures? We got that! How About finding peace in the storm? We got that! Or maybe you’re curious about the Christian perspective on Ayurveda… We got that too! Each day you’ll receive an email reminder of the devotional. 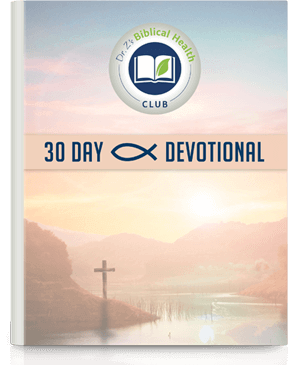 Just click through to the 30-Day Challenge and enjoy that day’s devotional created especially for you by Dr. Z! Over 160,000 people benefited from the world renowned experts featured in the Heal Your Gut Summit and the entire video library can be yours to access anytime in the TV section of the Biblical Health Club. But that’s not all! You’ll also enjoy videos from Mama Z including gardening and other urban homesteading tips ply DIY how-to’s for everything from natural first aid to shortcuts in the kitchen! Living The Abundant Life is your God-given privilege. In fact, it was Christ’s driving purpose behind His ministry! 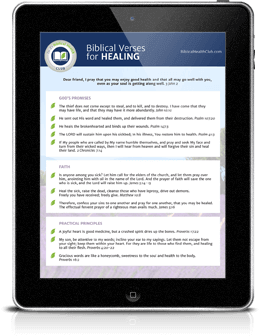 Biblical Health 101 is your personal roadmap to begin experiencing the abundance of these blessings, it will build and strengthen your current faith-rooted practices giving you the ability to grow your life in Christ in ways you never imagined possible. Connect with Dr. Z, Mama Z and Fellow Biblical Health Enthusiasts from Around the Globe! None of us walks this journey alone. 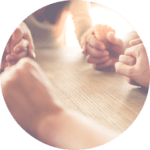 Community & connection are at the heart of our faith and of the Biblical Health Inner Circle. 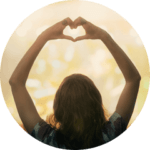 You’ll be able to connect with Dr. Z and his team as well as natural healing interested Christians from around the world in our Private Facebook group open ONLY to the inner circle. But… That’s not all! Each month Dr. Z will hold a special live, video Q&A session where he will answer your questions about health, healing, the Bible, being a Christian and Living the Abundant Life. These monthly sessions will all be archived and searchable by the topics covered, so you can return to them again and again. You want to feel confident that the health choices you make for your family are safe, scientific and Scriptural! In order to do this you need the right information from a source that you can trust! This can leave you feeling confused, frustrated and even hopeless because you don’t know who you can trust to show you the way to enjoying health and wellness. If you’re like the hundreds of thousands of people that follow me online, you’re looking for somewhere safe to hang out and learn. A place where you won’t have to worry about questionable, unBiblical teachings. 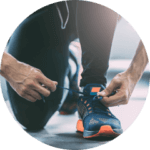 And that is why I created the Biblical Health Club Inner Circle – the ONLY online resource created for Christians seeking to achieve optimum health and live the abundant life…naturally! It is my mission and life’s purpose to provide you with evidence-based, Biblically-inspired tips to help you experience the Abundant Life! Because I know what it’s like to be sick, and I know what it’s like to be well. In 2003, I became a Christian and have come to the firm belief that God has provided us with what we need to be healthy and enjoy abundance in every aspect of life. As Biblical Health Educator, I feel it’s God’s role for me is to be your mentor and guide through this process. I’m grateful you are here and invite you to join me in Living the Abundant Life! Click HERE to Join My Inner Circle Today! Pre-release access and discounts on new programs and products from Dr. Z! Discounts on all Abundant Living products in the Dr. Z Abundant Living Store! Chance to Join for Just $1! Thank you for all you share, especially your heart for Jesus and the great Bible verses. You are impacting the world for Christ. I thank Him for you, Brother. Living the Abundant Life is your God-given privilege. In fact, it was Christ’s driving purpose behind His ministry and it’s the secret to Biblical health! “And what exactly is Biblical health?” you may be wondering. Good question! There are seven areas of the abundant life that Christ refers to in John 10:10, and you need to take care of them all to experience true Biblical health: spiritual, physical, mental, emotional, financial, occupational, and social. Each area of your life is connected to all the others. Like a chain, you are only as strong as your weakest link. If your physical body isn’t performing how it should, it’s going to weigh you down emotionally and cause strain in your relationships. If your job isn’t going well or you aren’t working up to your full potential, it’s going to impact your financial health and your mental health by raising your stress levels. It’s really all about Biblical health, which is about finding balance in all aspects of life and seeking to improve each and every area without letting one lag behind. Essentially, every area of your life falls into one (or more) of these categories, and, YES, it should be your goal to master every discipline. Having a thriving relationship with your Creator through His Son Jesus Christ. Being strong and healthy in a way that honors your body as the Temple of the Holy Spirit. Being intellectually sound and having the mind of Christ to a ripe old age. Regularly enjoying peace and experiencing a balance of healthy feelings. Having enough money to provide for your family and to be BIG givers. Truly enjoying the work of your hands, and fulfilling your God-given destiny in life. Fostering deep, mutually beneficial relationships with friends, family and people that you encounter every day. REMEMBER: Great habits are formed daily and require consistent commitment. Make it your determined effort to press through, no matter how hard it may seem or how many times you fall! It’s crucial that Christians study each and every aspect of the Abundant Life (in detail), and to ensure that they enjoy Biblical health in every area! Q. What is the purpose of the program? A. The intent of Dr. Z’s Biblical Health Club Inner Circle is to empower people with the tools that they need to experience abundant health in every area of life. This includes helping people find balance spiritually, physically, mentally, emotionally, financially, occupationally, and socially. Q. Is Dr. Z's Inner Circle just for Christians? A. No, not at all. Everyone is welcome, though, please be advised that the Holy Bible is our reference guide. 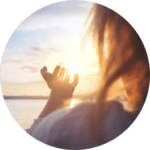 Dr. Z’s Biblical Health Club Inner Circle is a platform designed to educate EVERYONE about Biblically-inspired, evidence-based tools that they can easily implement to live healthy, abundant lives. All of the information is either directly inspired from the Bible, or it is presented in such a way that it will not conflict with someone’s Biblical beliefs. Q. Will Dr. Z provide medical advice and specific protocols for diseases I have been diagnosed with? A. No. Dr. Z and Dr. Z’s Biblical Health Club Inner Circle do NOT offer specific, step-by-step guidelines to prevent or treat disease. 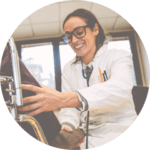 Dr. Z is legally prohibited to provide virtual medical advice to individuals. His Inner Circle is a great place to learn from your peers and he helps facilitate conversations in the private Facebook community page. 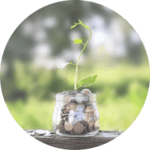 The information shared in the club will help set the groundwork for you to make educated decisions with your natural health care provider about how to potentially use natural therapies to prevent or treat disease. Always consult your physician before using essentials. Q. What qualifies Dr. Z to lead this program? A. Dr. Z is a trained public health researcher, aromatherapist and licensed primary care physician who has devoted his life to the study of natural therapies. He is one of few globally-recognized essential oil educators in the world and has extensive research counseling and mentoring people in Christ. Before getting becoming a doctor, Dr. Z worked in the finance industry, managing a bank and can help people find financial peace. Q. What do I get when I sign up for Dr. Z's Biblical Health Club Inner Cirlce membership program? A. You get instant access to all of Dr. Z’s mini-eCourse, devotions, demo videos, expert interviews, PDF downloads, use guides and eBooks that are included in his Biblical Health Club. As long as you are a subscriber, you will have unlimited access to all of the information available in the club. Other eCourses, print book and aromatherapy supplies are not included. Q. What if I decide it's not for me? What's the refund policy? A. Dr. Z’s Inner Circle is backed by A No-Questions-Asked 30-Day Money Back Guarantee. 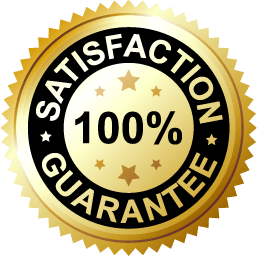 If at any time during the next month you decide Dr. Z’s Biblical Health Club Inner Circle is not the best program for you, simply contact our support team at Support@DrEricZ.com, and we’ll give you a 100% refund. Start living a Biblically-inspired, evidenced based life in Christ, and join my Biblical Health Club Inner Circle Today! 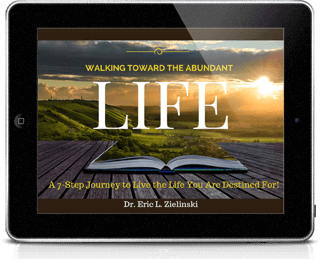 DR. ERIC ZIELINSKI is on a mission to helping people experience the abundant life. Formally trained as a public health researcher and aromatherapist, Dr. Z is the founder of the Essential Oils Revolution summits that have helped more than 300,000 people across the globe use essential oils safely and effectively. His website, DrEricZ.com, is visited by 4,000,000 natural health seekers every year, and he has rapidly become the #1 resource for non-branded, faith-based essential oils education on the Internet today. An accomplished researcher with several publications and conference proceedings, Dr. Z currently sits as peer-reviewer for multiple journals. He lives in Atlanta with his wife and four children. These statements have not been evaluated by the Food and Drug Administration. The contents of this website, including communication via email that may result from your use of this site, are for informational purposes only and are not intended to be a substitute for professional medical advice, diagnosis or treatment. Always seek the advice of your physician or other qualified health provider with any questions you may have regarding a medical condition.